Student learning is the central activity of higher education. The creation, evaluation and revision of curricular experiences which guide student learning are the central activities of faculty. The faculty and staff of the Martha and Spencer Love School of Business are committed to achieving high quality and continuous improvement in business curricula development and execution. This website has been created to inform our stakeholders (e.g., students, faculty, staff, and members of the business community) of the expectations we have for student learning and the processes we engage in to assess and improve student learning. 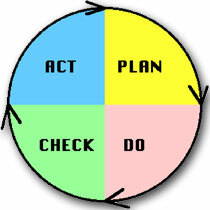 The process of curriculum development and revision in the Martha and Spencer Love School of Business follows a PLAN, DO, CHECK, ACT cycle, with input on curricula from multiple sources. Our bachelor’s degree programs educate students in a broad range of knowledge and skills as a basis for careers in business. Learning expectations build on the students’ pre-collegiate educations to prepare them to enter and sustain careers in the business world and contribute to the well-being of society. Our students obtain knowledge and practice skills for successful performance in complex business environments requiring the ability to organize work, make and communicate sound decisions, and react successfully to ill-structured problems. Our master’s degree programs (MBA, MScM and MSA) educate students at a professional level and provide a general managerial perspective emphasizing knowledge acquisition and skill development for effective practice. 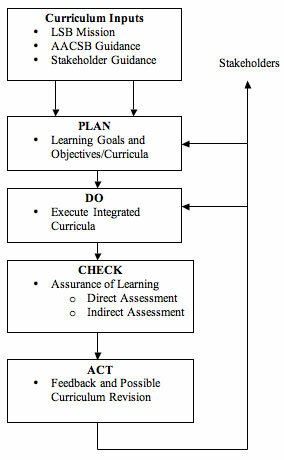 The links and materials contained within this website document the elements of our assurance of learning processes for the programs offered by the Martha and Spencer Love School of Business.